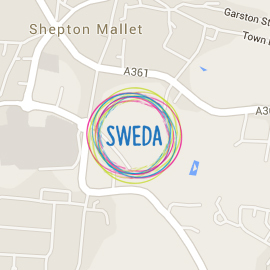 SWEDA (Somerset & Wessex Eating Disorders Association) is a regional charity supporting those affected by eating disorders across Somerset. Set up in 1992 by a group of sufferers and carers, SWEDA has provided a range of services since then, for people struggling with anorexia, bulimia, binge eating and compulsive overeating. Our services also give support to family members and friends engaged in the difficult task of supporting someone close to them. Our stated aim is 'pro-recovery'; we seek to enable and empower people to improve their mental and physical health and well-being, thereby enriching their overall quality of life, allowing them to live a life that is as healthy and full as possible. To facilitate this, SWEDA provides a range of services, offering information, guidance, training and support. SWEDA is user-led, and based on the principles of self-help. At the heart of the organisation is a commitment to ensure that people who have lived experience of eating disorders are actively encouraged to contribute to the development and delivery of the service.